Hepco-Becker have won Germany’s prestigious ‘Motorrad” motorcycle magazine’s accessory design awards numerous times over and with over 45 years in the motorcycle business have gained a reputation as Germany’s premier motorcycle accessory manufacturer! Hepco-Becker also incorporate Krauser and their super strong luggage mounting system today, is a continuation of that proven design! Hepco-Becker have supplied luggage systems to many manufacturers as original equipment (OEM)! 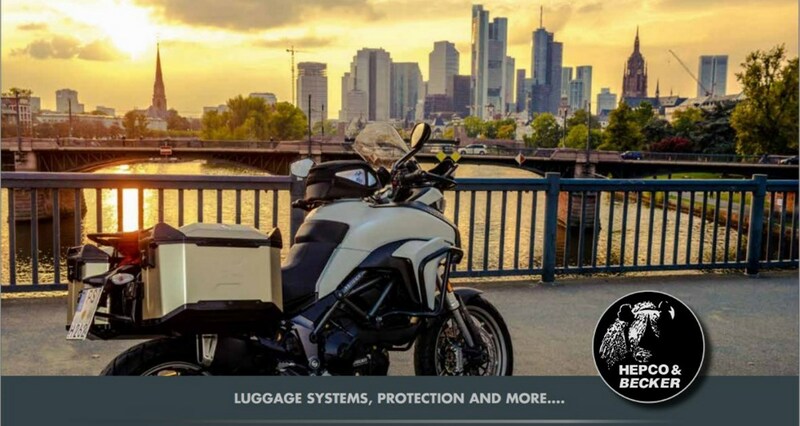 They manufacture hard, soft and leather luggage systems as well as well engineered crash protection, side & top rack systems & much much more! In 2018 they are covering nearly all brands Aprilia thru to Yamaha & most models [now over 1000] with model stretching back over 45 years! Are the Australian (& N.Z) importer & distributor for Hepco-Becker and carry a select range of Germany’s premier motorcycle accessory brand! We air freight ex-Germany every 30 days. We supply to the motorcycle trade and also offer direct sales to riders both nationally & across Oceania via our 24×7 OnLine Store!